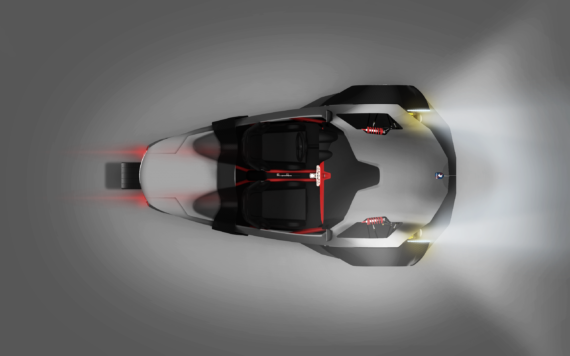 The Quebec-based electric vehicle startup Girfalco has now unveiled its high-performance 3-wheel electric vehicle, the Azkarra — providing us with a few surprises. The model is seemingly deserving of the moniker “high-performance” with its acceleration of 0 to ~62 mph (0 to 100 km/h) in just 2.5 seconds; its peak power of 225 kW (in the “S” version); its top speed of ~149 mph; and its range of ~124 miles per full-charge. Notably, the company claims that these figures are based on “conservative” simulations, not actual testing — so actual performance could end up better (the company seems to think it will), or worse. We’ll have to wait to find out. Pre-orders (reliant on refundable deposits) will reportedly begin in mid-January 2017, according to an email sent to CleanTechnica and EV Obsession. There will apparently be two offerings, the Azkarra and the Azkarra S. The Azkarra S will possess 162 kW of continuous power, and 225 kW of peak power. 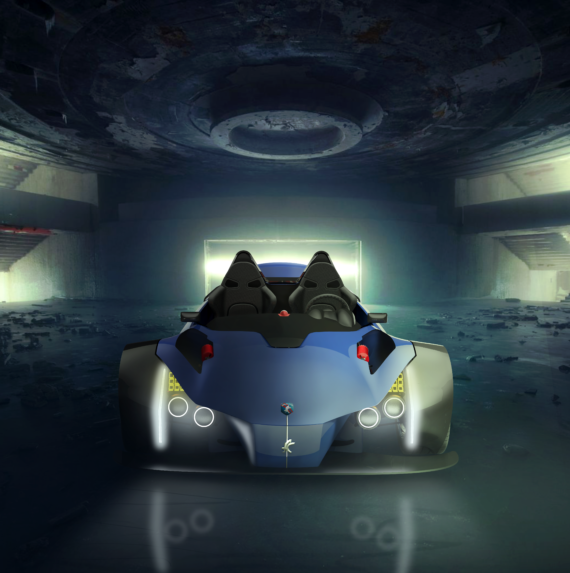 The base Azkarra will feature 54 kW of continuous power, and 75 kW of peak power. With regard to the other differences between the two offerings, the Azkarra S will do 0 to ~62 mph (0 to 100 km/h) in the aforementioned 2.5 seconds, and the Azkarra will in 4.5 seconds; the Azkarra S will possess a top speed of ~149 mph (240 km/h), the base Azkarra a top speed of ~124 mph (200 km/h); and both will apparently possess a minimum range of ~124 miles (200 kilometers). 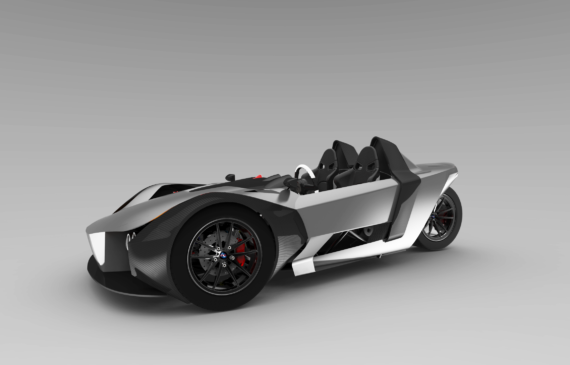 Vehicle weights vary as well, with the Azkarra possessing an estimated weight of 1,058 lbs (480 kilograms) and Azkarra S 1,124 lbs (510 kilograms). A few other points: the vehicles will feature torque vectoring; the ability to recharge to around 80% in a half hour or so (Level 3 charger); and optimized suspension. “Based in Boucherville, Québec, Girfalco’s design team has spared no effort under the direction and inspiration of Simon Luc Bouchard, Girfalco’s CEO, to design a vehicle that rivals the most beautiful vehicles on the road today. 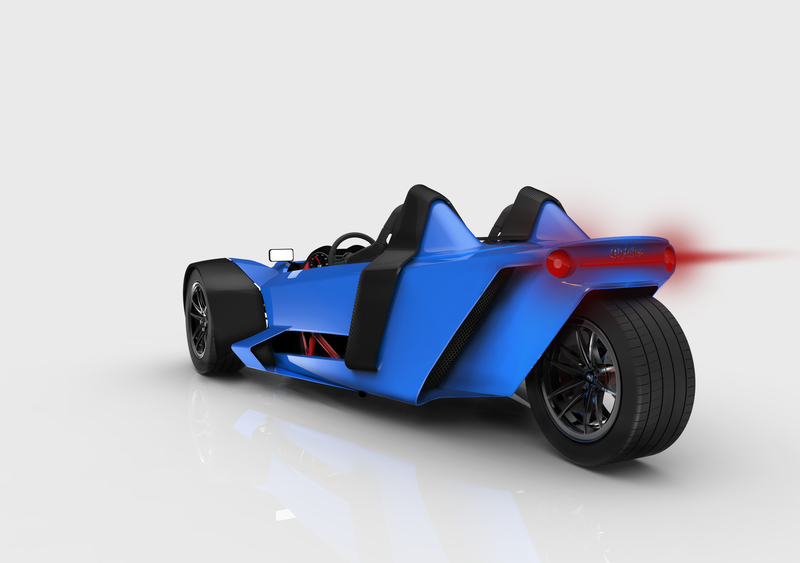 The Azkarra combines classicism and modernity in what can be considered as a big step forward within the three-wheel vehicle industry, surpassing the competition in every point. As far as initial production figures, as alluded to above, the Azkarra and the Azkarra S will apparently be quite “exclusive” — total vehicle figures will apparently be 100 units, with only 25 units slated for production in 2017. Pretty interesting overall, though the range seems a bit low for the price (of course, space in a compact 3-wheeler is very limited). As an exclusive high-performance sort of vehicle, though, it’ll probably do pretty well. I wonder if Jay Leno will end up buying one?